Essie is quick on its way to becoming my favorite nail polish brand. Their colors and collections are spot on and super feminine. I have yet to find a formula that I did not like. 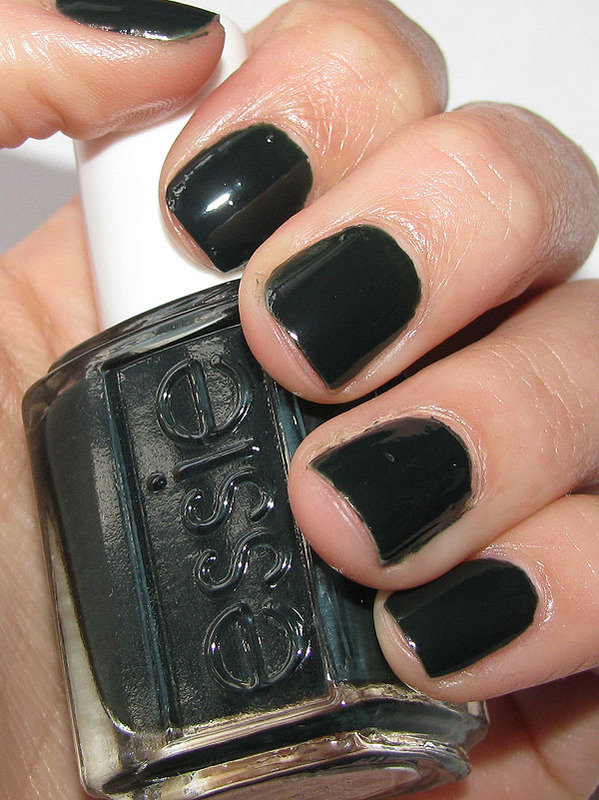 The polish dries quick and the darker colors have excellent coverage in just one coat. I also own their 'good to go' topcoat which is my absolute favorite. Their 2012 fall collection is named after style and fashion, and the current economy. 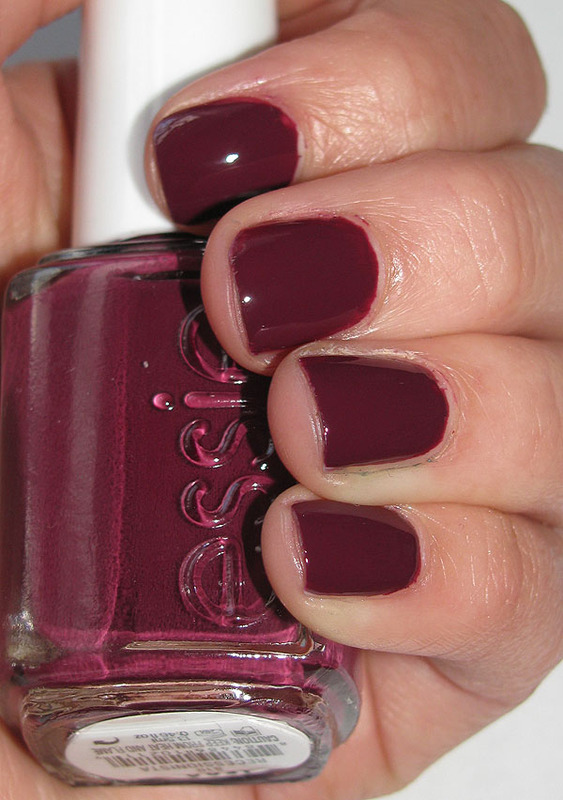 Essie shows that you can be stylish and live on a budget with these rich jewel toned shades. The six shades are perfect for fall, I wish I could own all of them. Down here is a description of each of the six polishes. Stylenomics - Get rolling in the deep, opulent green that's the new black. Recessionista - Smart & savvy millionheiress ups the ante with color and style that's priceless. Miss Fancy Pants - Greige under pressure. Refined chic & executive privilege never looked so pretty. Skirting The Issue - An a-line of gorgeous saturated burgundy. Don't Sweater It - Lavish in warm, cashmere mauve, that goes with anything and everything. Head Mistress - This take-charge red out-classes the competition. I ordered two of the polishes from this collection for myself. Recessionista, look at the (unfocused, damn you camera!) pictures below. Recessionista is a dark burgundy red, aiming towards purple. To me this is the quintessential fall nail polish color. However, it is not really that unique. I love it nonetheless and it will be adorning my nails many a time this autumn. Stylenomics is a really dark green that aims toward black in some lighting. It's the namesake of this collection and I can see why. It's gorgeous and unique, I own nothing like it. I adore this color and will definitely be wearing this a lot. I really like Recessionista. Perfect fall color. love this collection! i have stylenomics and head mistress and LOVE IT! !